Australia’s universities are public institutions with a corresponding legal responsibility to uphold free expression. This point was made by former High Court chief justice Robert French last week in his Austin Asche oration for Charles Darwin University and the Australian Academy of Law. French outlined the possibility that universities are covered by the constitutional freedom of political communication. “To the extent that universities, operating under the authority of acts of parliament which create them, make legal rules affecting freedom of speech, those rules would have to comply with the implied freedom,” French said. The implied freedom to political expression is primarily a negative freedom from state action. It prevents governments from limiting the ability to discuss matters fully, frankly and robustly, as required for a functioning representative government. Intellectual freedom at universities to explore ideas in the pursuit of truth is essential for a functioning democracy, and therefore falls under the remit of the implied freedom. According to legal scholars this applies to executive actions. Law academics Joshua Forrester, Lorraine Finlay and Augusto Zimmerman have argued that the “implied freedom [of political communication] is to be treated as a relevant consideration when exercising executive power”. Universities are public institutions, created by state, and occasionally commonwealth, law. For example, the Australian National University is established by the Australian National University Act 1991. University policies are akin to regulation. ANU policy, such as the Vice-Chancellorship Statute 2013 and the Discipline Rule 2018, are in the Federal Register of Legislation. University administrator actions, in the context of these policies, are akin to exercising executive power. The idea that public universities should come under constitutional free speech protections is settled law in the US. The US Supreme Court has consistently found that First Amendment free speech rights apply to public universities. The US courts have also consistently found that speech codes — university policies which punish, forbid or heavily regulate speech — are unconstitutional. In a 1991 case involving the University of Wisconsin student magazine, the federal district court found that it “amounts to governmental thought control” to prevent speech merely because it “demeans” people. Other court decisions have struck down policy which prevents “unintentional offence”. The Institute of Public Affairs’ Free Speech on Campus Audit 2017 found that such policies are commonplace at Australian universities. La Trobe University’s Student Behaviours Policy defines bullying to include “unintentional… offence”. Federation University’s Equal Opportunity and Valuing Diversity Policy defines discriminatory harassment to include “unintentional behaviours” that offend. The treatment of security fees by the US courts also provides guidance to Australia’s current debates. 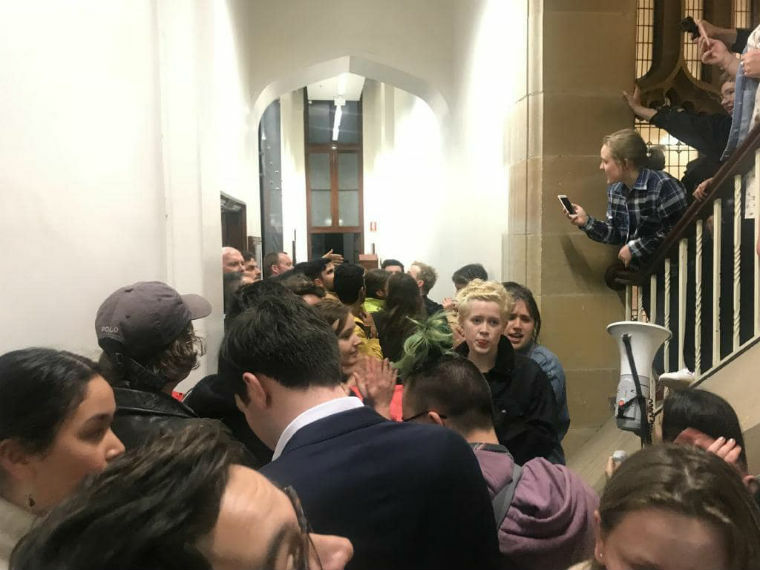 The University of Sydney has attracted controversy for charging $475 to the Sydney University Liberal Club to host psychologist Bettina Arndt to speak on campus sexual harassment issues. This follows previous occasions in which conservative students were forced to pay for security, including a $760 fee for an event on the “Dangers of Socialism” that was not protested. The US Supreme Court has found that it is an infringement on free speech to affix a price tag to speech because of its content. This court found in Forsyth County v Nationalist Movement (1992) that “speech cannot be financially burdened, any more than it can be punished or banned, simply because it might offend a hostile mob”. This is why the University of California at Berkeley paid half a million dollars to secure events with provocateur Milo Yiannopoulos and conservative Ben Shapiro. 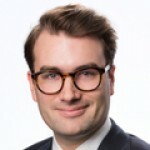 The extension of the implied freedom to political communication to universities would ultimately be a matter for the High Court of Australia in response to a specific case. Nevertheless, the fact that universities are public institutions subject to the Constitution indicates that French’s remarks are on a strong legal standing. Australia’s universities, if they are to fulfil their basic function to teach and research, must be open to debate with voices from all sides.